More and more websites nowadays are offering online courses, learning hubs or other educational online services. Masterstudy is a professional education and LMS WordPress theme which has been designed to create high-quality websites for education businesses. The features and design of this WordPress theme are based on extensive research into the education and learning industry…. Kalium is a flexible and highly-customizable WordPress theme which is ideal for any type of business or creative WordPress website. 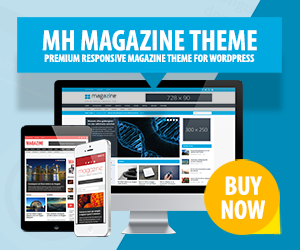 This WordPress theme includes a couple of great features you can use to personalize your website accordingly: select from different fonts, multiple portfolio types, advanced admin panel, unlimited skins, multi footer styles and many more…. If you are looking for a very flexible WordPress theme which is ideal for endless purposes, the Enfold – Responsive Multi-Purpose WordPress Theme could be a perfect choice for you. The theme comes with a very powerful Admin Panel and a dynamic template builder which will help you to build your website in no time….